James Batchelor is the UK Editor of GamesIndustry.biz, the leading B2B publication for video games professionals around the globe. 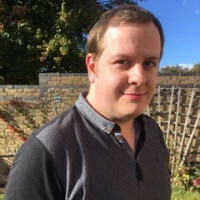 He has more than a decade of experience in games business journalism, having worked on MCV and Develop, spending three years as Editor for the latter. He has also written for Eurogamer, and offered games industry insight on BBC World News, Sky News and Al-Jazeera. The way games are made has long since changed, and the days of developing projects by a full in-house team have been replaced by teams of contractors, freelancers and even outsource companies coming together to create games quickly and more efficiently. Yet in a world where you’re not all operating from the same office, how do you make staff feel valued and part of the team? Plus capable of bringing their own style and personality to projects? As part of the new GamesIndustry.biz Academy online portal, James Batchelor will discuss with leading game creators about ways to effectively integrate, communicate and get the most out of a creative team that's scattered across different locations, companies and time zones.